“Eat, Shop, Learn” is the philosophy behind Chicago’s Eataly, the mega Italian marketplace located in the River North section of Chicago. The 6,300 sq ft, two story, market is comprised of a variety of restaurants, fresh departments and retail areas. The first floor is where you will find grocery items, housewares and quick foods options like a Nutella Bar and Panini station. 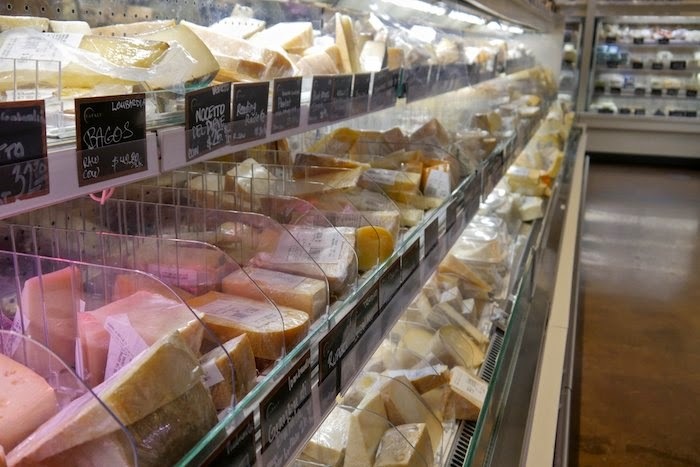 On the 2nd floor the Piazza, a standing area for eating and drinking, is surrounded by fresh food counters; including one for meat, cheese, vegetables and seafood, where professionals are available to answer questions and to inspire shoppers to try new things. 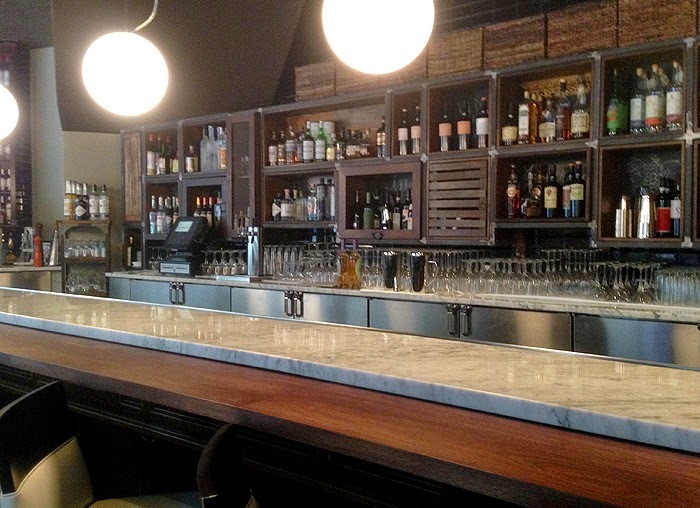 Each one of these counters also offers a sit-down restaurant featuring their specialty. Eataly even has a produce butcher. 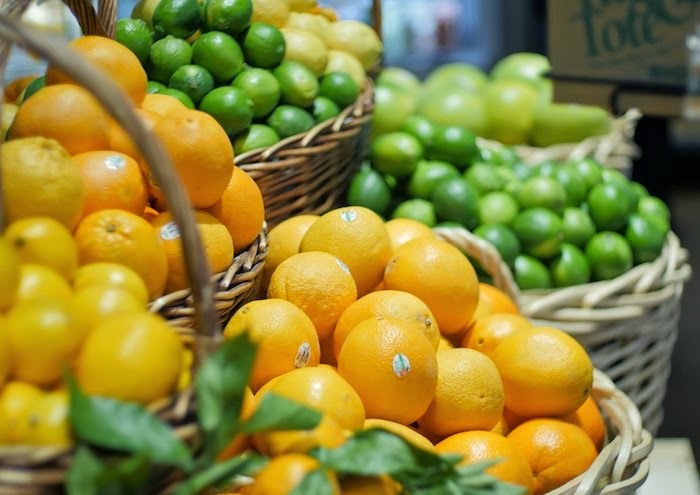 You can pick your fruits and vegetables and have them sliced, diced and peeled the way you want while you wait. Eataly was founded in Italy by Oscar Farinetti, in 2007. Partners, Mario Batali, Lidia Bastianich, Joe Bastianich and Alex and Adam Saper helped open Eataly New York in 2010 which was quickly followed by Chicago in 2013. On the last day of my Thanksgiving holiday trip to Chicago I met with Valerie, an Eataly associate, for a private tour of the facility. We chatted for hours as she escorted me throughout the entire complex providing in depth descriptions of every area and even gave me a sneak peak of the fine dining restaurant called Baffo. 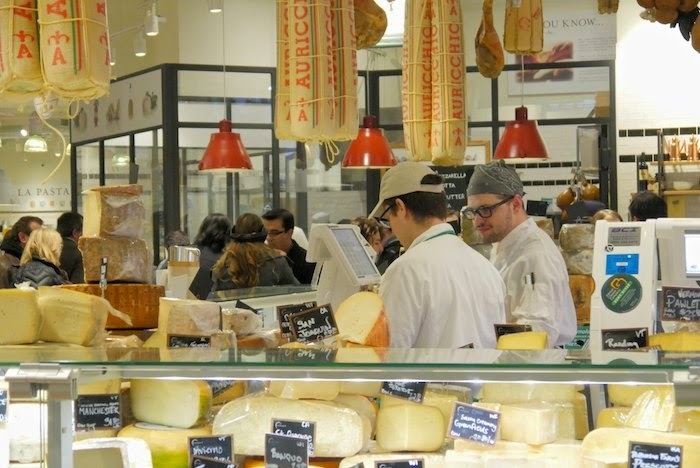 There is so much to experience as you wander around Eataly, watching cooks make fresh pasta and mozzarella, talking to fish mongers, tasting olive oil and sampling cheese. I am only skimming the surface of everything Eataly has to offer. This is definitely a venue you need to experience on your own. Even though I live within 90 minutes of the Chicago Eataly, I've only ever been to the New York one - but I adore it beyond compare. I know I'd feel the same way about this one, it looks very similar! I am so glad you posted this I have been so curious as to what Eataly. I tried to go to the one in NY but it just wasn't convenient to get there. Thanks! Oooh. 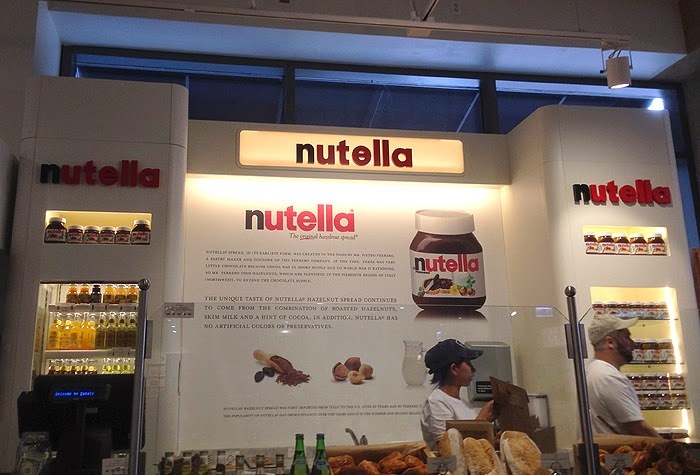 I'll have to go there if I ever make it to Chicago! Oh Eataly, how I love you! How did I never know this was open? I was in Chicago last year and didn't even hear about it! Must remedy that. This makes me want to visit Chicago! We visited Eataly Chicago on their opening weekend and let me tell you, the place was a madhouse!!! We live only 30 minutes from the city and yet we've not made the time to get back. Thanks for your post because it reminds me that we need to get back there after the holidays when its not so busy and we can really enjoy a leisurely visit. You have no idea how badly I want to get to NYC or now Chicago to go to Eataly. Chicago is one of my most favorite cities I have ever been to, now it got an additional gold star for this!!! 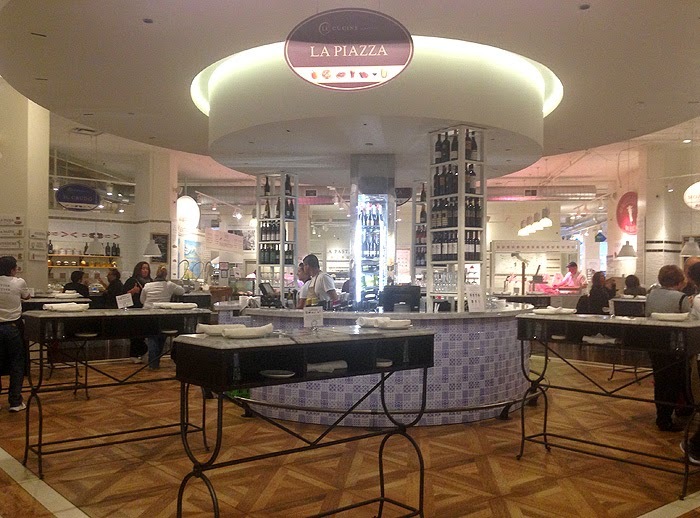 I was JUST at the New York location a few weeks ago - my first time at any of the Eataly locations. Such an awesome selection of goodness!! I loved the Eataly in NY and only wished it were closer, but luckily it's also coming to LA in a year or two! I swear that I would never leave that place. Like ever. Wow, this place looks like quite the experience. It makes me wish I lived near there! I LOVE Eataly in NYC! Every single time I'm in there I never want to leave. What a delightful post!